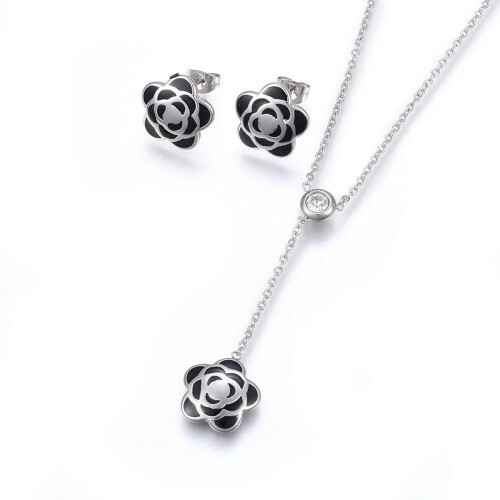 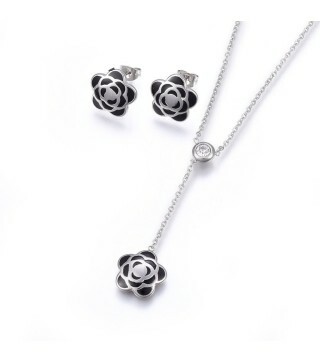 This stunning necklace and earring set features stainless steel based enamel and rhinestone crystal in a stylish flower design. 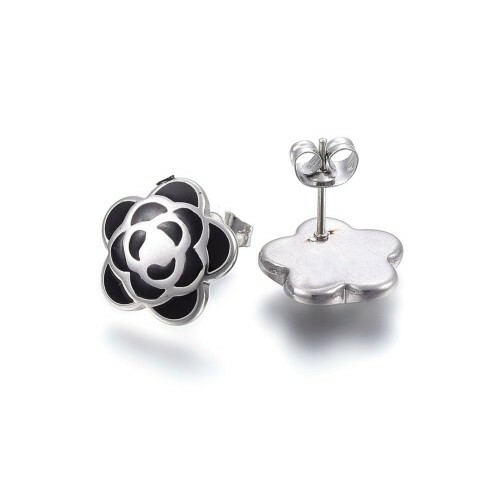 The eye catching flower pendant features a focal rhinestone crystal and measures approximately 51 x 14mm whilst the stud earrings measure approximately 14 x 14mm with 0.8mm posts and ear backs. 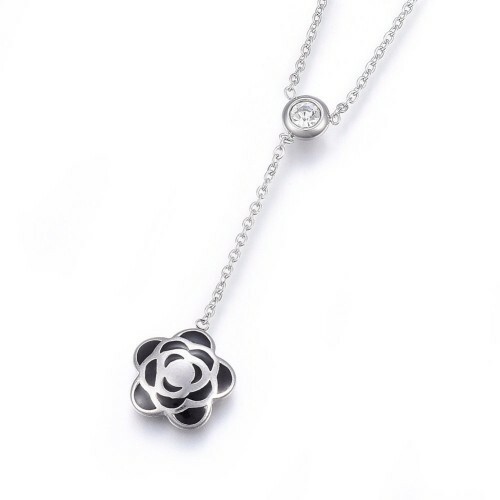 Each necklace features a 16.5 inch chain with a 50mm extension so you can choose how low to wear it.